Queen Isabel is the perfect river cruise through Portugal on the Douro river, the home of Port wine. 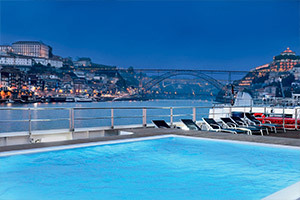 There is no better way to cruise along the Douro then on one of the newest ships to the region. From fresh staterooms with the comfiest beds and finest linens to a ship that glides silently along the water, every part about this experience will be enjoyable. Featured towns and ports include Lisbon, Porto, and all the wonderful small villages along the Douro. One of the greatest joys of the Douro valley is the culinary experience. Aboard Queen Isabel you will get to experience all the rich culinary culture of the region. From fresh foods cooked daily with local ingredients to time-less recipes that won't seize to impress. Of course the highlight of the culinary culture in the Douro Valley would be the Port wine. A wine history as old as the lands itself, there will never be a shortage of new brands or vintages to try during the length of your cruise, both on ship and during land tours. 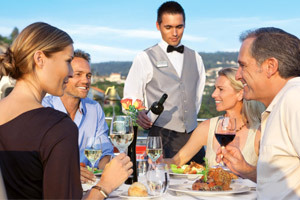 Most river cruise ships lack things to do onboard. Queen Isabel does not fall in line with this stereotype. Features include a swimming pool, spa, boutique, a regular bar, and even a coffee and tea bar. Your time spent on board in some cases will be just as nice as the tours and sights you get on land. All river cruises aboard Queen Isabel feature some of the most exciting shore excursions to be found in Europe. Each itinerary features multiple ports of call at quaint European towns that define the romance of old-world Europe. Guided or un-guided tours, the choice is yours. Trek out on your own or fall in line with a guided tour by local experts. A main highlight of sailing on Queen Isabel is the culinary experience. Taking all the best flavors and dishes of every single stop along the way, there will be no shortage of excitement for your culinary appetite. Expertly trained staff offer many dishes every night for passengers to choose from as well as wonderful wine suggestions that highlight the local aromas of small town France. 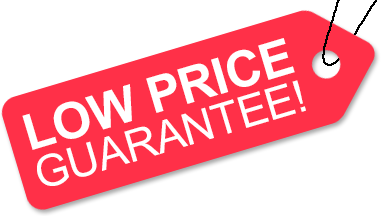 Low Price Guarantee on all Queen Isabel Cruises! 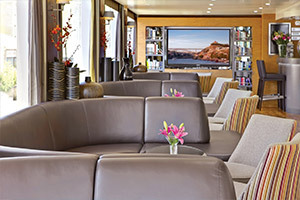 Book any Queen Isabel river cruise with us and you'll get the best deal possible, regardless of the ship or sail date! Because of our "Low Price Guarantee," nobody beats our Queen Isabel cruise prices, so look around and you're sure to find the best Queen Isabel cruise deal possible when booking with us! We do not charge booking fees on any cruises! You're sure to enjoy an affordable Queen Isabel cruise when booking with us! Our special offers on Queen Isabel cruises may not be combinable. Certain restrictions apply to each offer. Click a price below to view the Queen Isabel cruises during that month in that destination. There are 2 Suite staterooms on board Queen Isabel. These accommodation can fit up to 2 guests. The Suite includes all amenities listed above. There is 18 Junior Suite stateroom on board Queen Isabel. This accommodation can fit up to 2 guests. The Junior Suite includes all amenities listed above. There are 23 Category 1 stateroom on board Queen Isabel. These accommodations can fit up to 2 guests. Category 1 cabins Include all amenities listed above. There are 12 Category 2 stateroom on board Queen Isabel. These accommodations can fit up to 2 guests. Category 2 cabins Include all amenities listed above. There are 4 Category 3 stateroom on board Queen Isabel. These accommodations can fit up to 2 guests. Category 3 cabins Include all amenities listed above. The deck plans of Queen Isabel provided on this page are subject to change. We reserve the right to correct errors. Please verify all information with Uniworld directly.